FPSE announced the publication of Whose Land Is It Anyway? 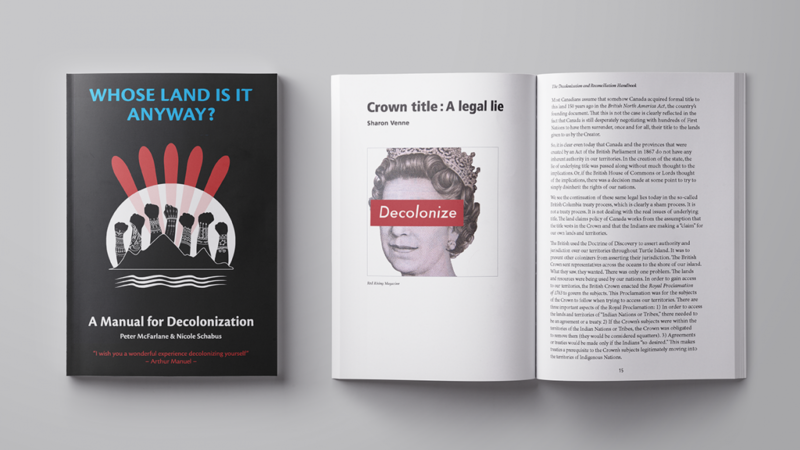 A Manual for Decolonization; inspired by a 2016 speaking tour by Arthur Manuel, less than a year before his untimely passing in January 2017. The book contains two essays from Manuel, described as the Nelson Mandela of Canada, and essays from renowned Indigenous writers Taiaiake Alfred, Glen Coulthard, Russell Diabo, Beverly Jacobs, Melina Laboucan-Massimo, Kanahus Manuel, Jeffrey McNeil-Seymour, Pamela Palmater, Shiri Pasternak, Nicole Schabus, Senator Murray Sinclair, and Sharon Venne. FPSE is honoured to support this publication.